This is our first check-in episode. Justin is making progress on his goals, hasn’t really figured out what he wants to do with Evernote, and doesn’t really seem to use his task manager. 00:00 I think it’s time for a check-in. So what these check-in episodes are going to be about are I’m going to run through my goals and experiments that I have running in my productivity system and just check in with you on how those things are going. Then I want to sum it all up from all the work that I’ve done and the things that I’ve done for the last month or so with some wins and improvements and basically say, here’s what worked and here’s what didn’t. 00:24 Let’s just dive right into goals. I’ve covered this on the Guild a little bit in a screencast, but for those of you who haven’t seen that, I’m going to give you a little bit of an understanding of how my goals are structured. I run my goals in two to three month lengths, similar to the 12 Week Year structure. I’ve found over time that having longer term goals such as six months to a year, it’s near impossible to stay on track with those because life tends to happen. When life happens, sometimes our priorities change and therefore our goals have to change. So having them in shorter term chunks means I can focus on some things on a smaller scale and then still have time to get something done. I’ve got two goals for the next three months slated to be done about the end of March. 01:14 First is to improve my public speaking by attending Toastmasters. I’ve done a little bit of research on this, but as of this recording, I really haven’t done much to do this. I haven’t attended a Toastmasters meeting. I’ve figured out where it’s at and I’ve put it on my calendar and added the habit into Streaks, but I haven’t actually done anything to attend the meeting yet. My plan though is to attend my very first Toastmasters meeting next week, so I would have to say that I’m starting to make progress on that one. At the time of this recording, we’re still pretty close to the beginning of the year, so that’s just where it’s at. 01:53 My second goal for the year is to start incorporating daily exercise. Now I have struggled with incorporating a daily exercise routine. I’ve gotten it going for a few months and either the weather changes and it’s difficult to run outside and I haven’t taken the time to find an alternate plan or, in the past what’s happened is I’ve gotten hurt, therefore, I just kind of fall off the wagon and then I don’t pick it back up. So what I really want to do is have at least a small daily exercise habit. And I’d have to say that this is a success so far. I’ve been in this for a few days this week and literally just doing five minutes of something, whether it’s using the Streaks Workout app to just do some body weight workouts or even doing three sets of planks in the morning. It’s energized me in the morning, but also it just feels like I’m gaining some momentum with it because that’s the big thing with goals is you want to start off and get some momentum and then from there you can start to build into a bigger goal. 02:57 James Clear talks about it being like improving yourself one percent every single day. So to start off small and then improve from there is a great way to actually build into a bigger habit. I mentioned that I’m using Streaks Workout for some of this. Streaks Workout encourages you to do daily workouts in the app. Well, I’m not doing that. I’m actually tracking my workout streak in the Streaks habit tracking app. That’s been effective because it gives me a little bit of flexibility in what I’m doing from day to day. As long as I’m honoring that habit. Actually, as I’ve heard Kourosh Dini talk about just touch the keys were if a piano player is practicing and they just don’t feel like really digging in that day, as long as they touched the keys they’ve honored that habit. So my goal is just simply to honor the habit of physical exercise every single day, and even if I do 10 pushups, I’m considering that a success at this point. 03:53 So all in all goals are a success. I’m really quite excited about that. Let’s move onto some experiments. I’ve got two experiments that I’m working on right now. The first one is I’m trying to implement Scrum in OmniFocus. I have to fully credit Joe Buhlig with this one, but I’ve found that over the course of time it’s really difficult for me to scope work. Scoping work is the process of being able to say this is the stuff that I’m going to get done within this period of time. I just tend to add my stuff in OmniFocus, flag a bunch of tasks, throw some due dates on the items that are relevant and then hope for the best. 04:31 Yikes. Doesn’t work out very well. So my hope for using Scrum in OmniFocus is to be able to take a week block of time and then be able to plan work within that week and try to hit that goal. I started off with a more traditional approach to Scrum in OmniFocus where I had a sprint tag and story points and an AppleScript that Joe wrote that calculated the total number of story points in a set of tasks that I had selected and then actually split off things that weren’t tagged under the sprint as being under the backlog. Well, I’ve found that that entirety of the structure didn’t really work for me. There was too many fiddily details that I had to figure out in there and so what I’ve done is I’ve kind of taken a step back with it a little bit. So instead of having a sprint tag, I’ve renamed that tag to Priority and instead of tagging individual tasks with that, primarily I’m tagging projects with that priority tag and then I have a planned perspective that I go into where I can defer those projects to specific days of the week where I plan on working on them. 06:07 For my second experiment that I have going on. I have it officially titled as incorporating Evernote into my workflow, but over the last couple of weeks this has been expanding. Let me explain a little bit here. My goal is to have some kind of a reference application in my workflow where I can take information and put it there and be able to search it. 06:27 Yes, that does sound like a bucket application and Evernote is perfect for that, but I want to also do things like add items to read such as long form articles that I’ve put in as PDFs, and then be able to annotate them with my Apple Pencil on the iPad and ultimately be able to search those annotations. 06:46 On the Strengths Finder 2.0 test, my number one strength is Input, which means I like to take in information but I also like to collect it so I can refer back to it at a later time. My brain does this pretty well, but it also like to have it available in a digital format. So that’s where I’ve tried to figure out does Evernote makes sense to have in that mix or does another manager like DEVONthink or KeepIt make a better fit for the need that I have. 07:38 To close out the podcast today. I’m going to hit on three wins and three improvements for the last month in my productivity workflow. Let’s start with the wins first. Starting small. I have a problem sometimes with dreaming too big or trying to get too full of a picture on something before I dive into it. 07:59 Starting small and then moving from there has allowed me to move a lot faster and then also grow a lot quicker in the areas that I want to move in. Part of the reason that I do experiments like I just talked about is because I’ve found that starting small has helped me grow immensely. 08:19 Second, I realized that I’m hitting emergency scan modality again as a default, but what does that mean? Well, if you haven’t read getting things done, emergency scan modality is basically looking for any fire to put out and reacting to it instead of living from a place of proactively choosing the type of work you’re going to do by your priorities. I’ve had a lot of changes to my workflow and there’s been a lot of variability in my schedule due to some factors in my personal life, and that’s made it challenging for me to truly prioritize my work. I consider this a win because I’ve realized it and realizing it allows me to take action on it. 09:01 So how am I taking action on preventing myself from hitting this emergency scan modality and operating on it as a default? The best way that I’ve found so far is just asking myself before I start working, “what’s my number one priority?” If I have my priority figured out in that moment, it’s a lot easier for me to say that I’m not going to jump into email. I’m not going to be waiting for text messages. I’m not going to just react to things that are coming into me. I’m going to actively work on the one thing that I’ve picked as my priority for that moment in time. 09:34 And for the third, I’d have to say that making adjustments to my planning routine is helping a lot. I’ve talked a little bit about it in the experiments with regards to Scrum in OmniFocus, but being able to literally just pick the items in my week that I want to try to get done and keeping it a smaller scope than I’m thinking I’m able to do has really helped me make progress on the things that I want to do. Combine that with having more clarity on my priorities and being able to choose priority work. I think that’s definitely a win. 10:07 Now on to improvements. This is the fun one. This is the time where I get to be vulnerable because nobody likes to admit always that they’ve failed or that they’re struggling with something. But to be honest with you, I’ve found that just being open and honest and public about things that I’m struggling with has actually helped me process through those immensely and be able to get solutions for them. So in these check-ins, this is largely why I’m doing it is to share my failures so that we can work through them together. So my first improvement area, I’d have to say not having a routine is hard. There are some factors in my personal life that don’t fully allow me to have a daily routine or even a weekly routine sometimes. Not having that is hard for me. 10:51 I’m trying to supplement it by trying to craft a morning routine that helps me get going for the day despite my schedule for the day. I’m trying to make sure that I’m getting a weekly planning session in or a weekly review, but I can’t always do that just due to my schedule. That’s a challenge. I really have to say that that’s been a difficult thing for me, but I’m trying to be more intentional with it and we’ll just see how it goes. I’d have no guarantees that it’s going to work out long term, but I’m getting used to it and it’s just a matter of getting into the problem and truly figuring it out. So I’m in process on this, but I definitely don’t have it figured out yet. 11:30 Second, I don’t think I’m doing a very good job of treating my non contract work as important. So as you may know, I went out on my own as a self employed business owner in August of 2018, so just a few months ago. My primary form of income is some contract work, but I’m also running the Productivity Guild, and I have some other things that I’m doing as well, such as this podcast. Frankly I’ve been treating those things as less important than my contract work. I think that has to go back to the fact that I’m dealing with this emergency scan modality. The contract work is tied to a set of expectations and I feel like I need to meet those. So as a result, I’m setting that as a higher priority in my schedule than the other type of work that I need to do because there’s an hourly rate that’s attached to it. Whereas the other work where I’m creating things and creating products, there’s not necessarily direct money to time invested return on it, so as a result I think I’ve been letting that be a smaller priority in my mind. 12:30 It’s not exactly a good thing because I really enjoy working on those items and they bring me a sense of satisfaction where other types of work did not and so I want to spend time working on those things, so going forward I am in my mind going to be treating those work items at the same level of priority as my contract work because they’re valuable to. They’re providing value to people in a completely different way and value to myself in a completely different way, but they do have a return and so I am choosing to invest into it. 13:04 Lastly, I’m not really using my task manager. For my contract work, we manage most of our projects and tasks inside an application called Jira, which means I haven’t really been putting those tasks in OmniFocus as consistently as I should be. Additionally, we do get some emails come in for support and so I’ve been managing those in another tool as well versus getting them over into OmniFocus, which means I’m not really working out of OmniFocus. 13:32 Granted, I know a lot of people say don’t work with your task manager open. Well, if I don’t have that open, sometimes I don’t really have a bead on what the most important thing to be doing at that very moment in time is, and so what I’m doing is being more intentional to add details of tasks that I need to complete or projects that I’m working on into my OmniFocus so that way I can have a bigger picture, a more full picture of the work that I need to do at that point in time. It’ll help me get my priorities straight. It’ll help me make better choices because I have the frame of mind that a task manager serves to do one thing to help you make decisions on the work that’s most important to you at that given moment in time. And so to have all of the work that I have to do in that place gives me a better picture and more information to be able to make those decisions more effectively. 14:24 That’s it for today’s check-in episode. I hope you enjoyed it. 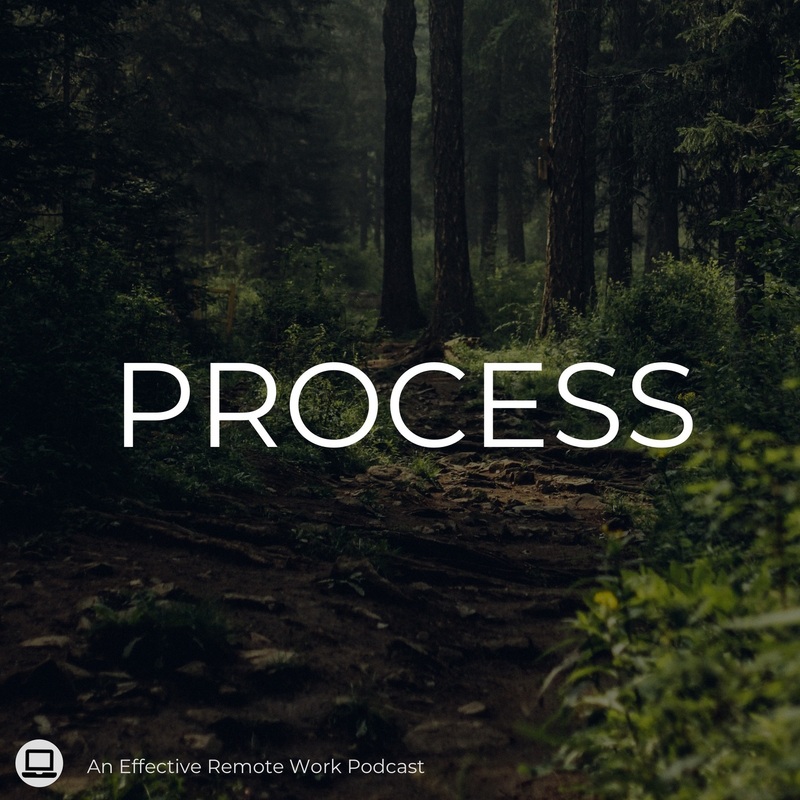 If you want to join in on the discussion for this episode, or if you want to connect with others who are in the process of becoming better in their productivity journey, head on over to the Productivity Guild at productivityguild.com. Or if you want to support this podcast and get access to video modules, productivity courses, and more, consider signing up for a Pro membership at the Productivity Guild for just $10 a month. Lastly, if you like this show, rate us on iTunes. Thanks for listening and join me next time on Process. I wonder if there is an app that specifically focuses on Scrum? I’ve not tried Scrum myself but it sounds like an interesting experiment. Let me explain a little bit here. My goal is to have some kind of a reference application in my workflow where I can take information and put it there and be able to search it. I’ve been wondering about this myself. For now, I have DevonThink for my reference information database and Agenda for my actual notes when I’m referring to notes I take in meetings. emergency scan modality is basically looking for any fire to put out and reacting to it instead of living from a place of proactively choosing the type of work you’re going to do by your priorities. I referred to this as ignoring all the little voices in my head that wonders if there is something else out there to take me away from the work that is currently sitting in front of me. The best way that I’ve found so far is just asking myself before I start working, “what’s my number one priority?” If I have my priority figured out in that moment, it’s a lot easier for me to say that I’m not going to jump into email. I’m not going to be waiting for text messages. I’m not going to just react to things that are coming into me. I’m going to actively work on the one thing that I’ve picked as my priority for that moment in time. I have to plan the day before about the work I want to do on the next day. Then I hopefully try to stick to that plan while having enough buffer room to handle any fires that come in throughout the day. That means scheduling in time for daily happenings while reserving a portion of the day to deep work. I think Cal Newport (or perhaps someone else?) said that we probably only get 2-3 hours of real work in. Everything else is maintenance work. I’d have to say not having a routine is hard. There are some factors in my personal life that don’t fully allow me to have a daily routine or even a weekly routine sometimes. Not having that is hard for me. I hear you on this one. I’m part of a family business and it means I can screw off and binge on Netflix if I desired. But it doesn’t move the needle. I need to make sure I get enough solid work in before I can goof off. And it’s easy to goof off when I’m the boss (or at least when my wife lets me be my own boss ). Lastly, I’m not really using my task manager. For my contract work, we manage most of our projects and tasks inside an application called Jira, which means I haven’t really been putting those tasks in OmniFocus as consistently as I should be. I think it’s nice to have some separation of different parts of our lives. Stuff that resides in Jira will most likely be your contract work. Stuff that resides in OmniFocus is most likely personal stuff or the non-contract work. Each database is a checklist that separates the different areas of focus. Maybe it’s a good thing to have it separated? I don’t want to see my grocery list and Netflix watchlist mixed in with my contract work. Granted, I know a lot of people say don’t work with your task manager open. Well, if I don’t have that open, sometimes I don’t really have a bead on what the most important thing to be doing at that very moment in time is, and so what I’m doing is being more intentional to add details of tasks that I need to complete or projects that I’m working on into my OmniFocus so that way I can have a bigger picture, a more full picture of the work that I need to do at that point in time. It’ll help me get my priorities straight. It’ll help me make better choices because I have the frame of mind that a task manager serves to do one thing to help you make decisions on the work that’s most important to you at that given moment in time. And so to have all of the work that I have to do in that place gives me a better picture and more information to be able to make those decisions more effectively. That’s what I’m afraid of. When I keep OmniFocus open, I’ll always worry that a task that is on-screen and visible to me will distract me. That’s why I like to plan the next day ahead. At the end of the day, I look at OmniFocus and select a few due tasks and some flagged tasks. Then I write them in my Bullet Journal. That becomes my game plan for tomorrow. I don’t get the urge to return back to my task manager and start looking for other things. I feel more confident having a gameplan or strategy of what i want the day to look like. I don’t choose more than 3-5 tasks because I know I’ll have all the other things thrown at me (wife’s Honey Do list, the kids activities, or customer requests) to keep me busy. But I’ll squeeze in the 3-5 tasks from my Bullet Journal and get to work on those. When I finish the tasks I wrote in the Bullet Journal, I can return back to OmniFocus or check the e-mail inbox to see if any emergency tasks may have arrived. I think it’s more about trying to get through the backlog of task manager tasks a bite at a time. Remember? Work in shorter term chunks and focus on some things on a smaller scale… yeah, that’s one place to start.